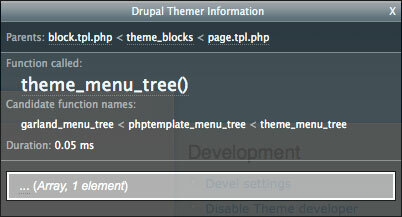 The Devel module has a great feature called Theme Developer which makes theming a breeze. When enabled, you’ll see a box in the bottom left of your browser window, themer info. 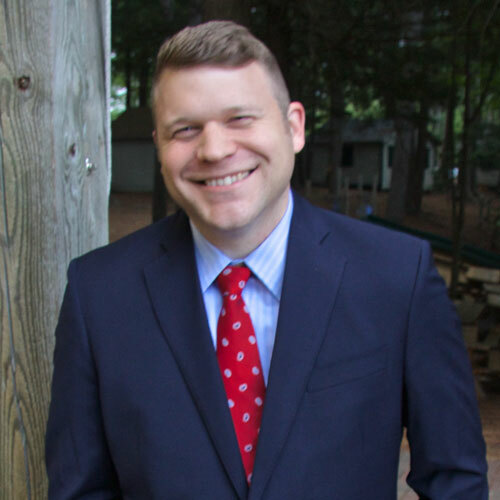 This functionality helps answer the question: how do I change the way this piece of my theme looks? If you enable the themer info checkbox and moveover your theme, you’ll noticed that various html structures will be highlighted in red, very much like the essential Firefox plugin, Firebug. This window tells you which functions and templates are used to create the html, and which functions and templates you can define to override the themable output. Check out the section called “File used”. 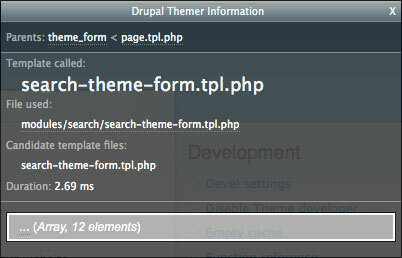 It should tell you that the search form uses it’s own template file found here: modules/search/search-theme-form.tpl.php. In this case, we’re in luck. You can simply copy that file into your theme directory and modify it as necessary. In your template.php file, define your new function. The first thing you should do it get acquainted with the structure of the arguments and what the function returns (array, object, html, etc). In the code below, I’m using the PHP function print_r to show the structure of the argument. Now, you can modify to your heart’s content. Now you should be on your way to overriding the themable output of any piece of your site.